Life Insurance is not about you. Life insurance is about your loved ones and ensuring they’ll be looked after financially. Without a proper or adequate term life insurance policy, you risk your dependents being left in financial disarray. With life insurance you’re able provide your family with a financial safety net. They’ll be able to pay for everything, including the mortgage repayments on the house, utilities, car insurance and groceries. Usually purchased as either a salary replacement so that your spouse and/or children are able to maintain their standard of living or as a tool to pay off your debts and pay for funeral expenses. Imagine your family is having to deal with your death and then finds out how ‘bad off’ your financial situation truly is. They want to give you the funeral you wanted, but after going through your bank statements, they realise you only have about $1000 in your bank account, you were completely behind on your bills and have no term life insurance. Within a few weeks of your passing, the shut-off notices start to arrive. The bank calls daily to inquire about outstanding mortgage payments. You’re family now has to give up the house they grew up, give away their family pets and move into a cramped two bedroom apartment. Life insurance is a type of policy that pays a lump sum benefit to your nominated beneficiaries upon your death or upon diagnoses of a terminal illness. This happened to 20 year old Brittney LaCombe, after her mother passed away the day after Mother’s Day. You can read her award winning essay at www.lifehappens.org/past-scholarship-recipients/brittney-lacombe/. Clearly, life cover is often a neglected area of personal finances. We hope this article provides you with the necessary information to make an informed decision regarding your family’s future financial needs. Provide a lump sum benefit to your beneficiaries upon your death or diagnoses of terminal illness. Ease the financial hardship associated with your death, by helping your spouse pay the mortgage, utilities, car loans, food and other household expenses. Alleviate the financial burden of paying for the funeral and burial expenses by providing a funeral advancement benefit. Assist your spouse in providing for your children’s medical expenses and future education. Provide your family with more opportunities, a stable home environment and less financial stress. Whatever you reason for purchasing life cover , the policy can give you peace of mind knowing that upon your death, your loved ones will be looked after. The best time to get life cover is now. The worst time to buy life cover is when you need it. Older people and those with an illness or disability can pay much higher rates for life cover . It’s advisable that you buy your policy as early as you possibly can. They want to protect their household income: A life policy can be used to replace lost income, by supporting the spouse left behind in maintaining their standard of living. They bought a house: People buy life insurance as a mortgage protection, to make sure the house will be paid off should the worst happen. They’ve gotten married: Having the opportunity to share your life with another person, includes the responsibility of protecting that person financially if you should pass away unexpectedly. They have debt: You don’t want your family carrying the burden of your financial problems during their crises. Any outstanding debt, like a home loan, car loan or credit cards, will be taken care of with your insurance policy money. They’re becoming parents: This is the most common reason why people take out life cover . To ensure their children will be taken care of if either parent were to pass away. They want to be able to pay final expenses: The cost of a funeral and the preceding medical expenses can run high. It’s difficult for loved ones to come up with this amount of money quickly. Having life insurance provides the solution. You should also consider what ongoing commitments and obligations you have. If you or your partner have taken out a loan, or have bought a house – and one of you passes away, the other may not be able to handle the payments on their own. How much cover (sum insured) is needed? Do you have any outstanding debts to pay? Will your surviving partner have childcare expenses? Is there a mortgage to cover? Are there other assets on which to draw? Will your children leave home soon? Will there be education costs for schooling, college or university? The answers to these questions will influence your decision on how much coverage you need. Speak to a specialist advisor about your policy options in making your policy more affordable, whilst still ensuring it meets your needs. Cost: How much is Life Insurance? In general, the more protection your policy offers, the higher your premiums. When determining how much you’ll need, figure out how much cash and income your dependents would have if you were to die today, and the amount they would actually need to maintain their current lifestyle. Your chosen policy should come as close to making up the difference as you can afford. Generally insurers offer Level, Stepped and Hybrid premium options. All other things being equal, the younger you are the less expensive your life cover will be. This might be due to younger people having fewer diagnosed and undiagnosed health conditions and a longer life expectancy. Your gender is an important determinant of your future health and well-being. Smokers pay a higher premium for a life policy due to their increased risk of ongoing health problems and because they have a shorter lifespan than non-smokers. It’s important that you fully disclose all pre-existing medical conditions at the time of your policy application. Insurers generally offer a number of additional cost policy options that are designed to further enhance your policy. When you complete your application , it’s vital that you disclose any pre-existing conditions, your smoking status and answer all questions honestly. There are serious ramifications when misrepresenting your answers to questions on an insurance application. If you did not fully disclose your medical history, the company may deny your claim and refuse to pay a death benefit. Be informed about your policy and the company issuing it. Not all insurers are the same, and will analyse your situation differently, there is a big difference in price and coverage out there. You want to make sure you choose a company you can rely on to be around for as long as you’ll need coverage. That’s why it’s important that you compare similar policies from different companies to find which one is likely to give you the best value for your money. Even if you already have a life policy , it won’t hurt to check out the new rates even if you are a little bit older. You never know what the best premium will be unless you shop around. At What Age Can I Apply for a Policy? Generally, the policies we compare come with entry ages of 11 – 75 years old, depending on your chosen insurer and premium structure (stepped or level). However, this may differ from insurer to insurer. It’s important that you always consult the product disclosure statements (PDS) of any given policy. Keep in mind, the decision to take out life insurance is more about the stage in life you’ve reached, than simply your age. At What Age will My Policy Expire? The policies we compare generally come with an expiry age of 100. However, please consult the PDS before making a decision. Life Insurance provides cover to your loved ones in the worst case scenario of your death. However, it’s also important to consider how you’ll support your loved ones should you be alive and unable to work due to illness or injury. You might be interested to read through some of the below links, helping you navigate the different types of policies and their appropriateness at this stage of your life. I like life insurance quote. I can afford to pay approx $150 p/mnth. Ideally interested in cover between $300k-$500k. Please provide me some quotes by Sunday. So that I can think it over on weekend & make decision by Monday. We would be happy to provide you with a life for life insurance however we just need a few more details so we can give you a more accurate quote. Please go to the quote form at the top of the page https://www.lifeinsurancedirect.com.au/life-insurance/ and submit your details and one of our consultants will send you a quote. Can I get a quote for life insurance for me and my partner ages 29(me) 30(partner) non smokers one daughter. Thanks so much for your inquiry. I appreciate you taking the initiative. Please refer to our couples & families page which explains some of the discounts on offer which can be up to 10% off the premiums for couple’s who take out cover with the same insurer & there are a few tips on how you may be able to qualify for free child cover for your daughter. I would then suggest including your details on the quote request form & a specialist consultant will give you a call you discuss further. Alternatively, you can use our Quote Index to compare premiums online. Thank you for giving me the opportunity to assist you with this important decision. At the end of the day, we all just want to know our loved ones are taken care of. Thank you for your request. Please fill in your details on our request form above and a specialist consultant will call you to prepare a detailed report as soon as possible. Alternatively, if you would like to compare life insurance quotes before speaking to a consultant, I suggest trying our online life insurance quote index. It’s quick, easy and convenient. If you require any additional information, please do not hesitate to ask. We are here to help you. I am so glad you’ve asked this question, as there have been other visitors experiencing the same problems you’ve described. Due to the increase in questions regarding MS and Life Insurance, we have escalated your question and written a guide for people looking for life insurance who have multiple sclerosis. Please have a read and let me know if I can be of any further assistance. Hi Roland this is a very common question and I am glad you have asked it. There are a few main ways to manage long term premium affordability firstly you may want to consider level premiums these premiums start off higher however do not go up due to a change in your age as they are based on your entry age into the policy (However they will increase if there is a rate rise or increase in sum insured). You can now get level premiums on life cover up to the age of 70, after this time they revert back to stepped premiums. The second option is hybrid or optimal premiums these start off as a stepped style policy then convert to a “level style premium” up to age 60/70. Generally these cumulative premiums are higher than if you had originally taken out level premiums however will be less than stepped premiums, that start off cheapest but increase each year as you get older. However if these alternative premiums types are not appropriate you may want to consider a stepped premium policy that has the premium freeze feature where the premiums stays consistent however each year your sum insured reduces to keep your premiums the same. This can be good for people who are happy to have their cover reduce each year, while maintaining the premium within the relevant budget. Please note this feature may not be available for you, however may be for your wife as the max entry age for this feature is generally age 55 but best to check with your insurer to be certain. Lastly you can review the sum insured each year when you get your renewal notice and reduce your cover accordingly to keep your premiums within your budget. Please note this response is general in nature as I don’t know your personal situation, however if you would like further assistance please contact us. I want to pay life insurance for my son who is 20. He is not smoker. He is in good health. How much do I have to pay for him, monthly or fortnightly? Considering insurance for your son is a great initiative as younger people often don’t until they get older, however by then their premiums have substantially increased and they may have had a number of medical conditions and therefore find it harder to get cover. If you are looking for long term affordability you may want to consider level premiums as they are more affordable in the long run as premiums are based on entry age to the policy not your age at your policy renewal. To enable us to provide you with a detailed comparison between level & stepped premiums please complete the above quote request form with your sons details and your contact number and we will tailor a report for you based on what you are looking for. AIG to cover the business debts in case or when one of us pass away. We are only looking at about 150,000.00 NOTHING MORE. What can you offer. Please e-mail do not call on mobile. Thank You. Marie Chasle. If you would like us to run a personal comparison, please get in touch. I am 73, have no existing medical condition, am relatively fit, my mother died when she was 88, and my father when he was 98. Hi Ross, Thank You for the details you provided. Please contact us on 1300 135 205 so we can help you further with your enquiry. We look forward to assisting you. I am writing to make an enquiry of an insurance product which covers severe illness and death. I am an Australian citizen currently reside overseas but will relocate to Sydney in 1-2 years. The Life Insurance policies we currently have available will cover you for any type of death (excluding suicide in the first 13 months), and will pay out in advance if you are diagnosed with a terminal illness with less than 6 -12 months to live. If you are looking to cover severe illnesses that are not terminal then you may want to consider taking out a combined life and trauma / critical illness policy by doing this you can add coverage for a list of 40 – 60 critical illnesses as defined in the relevant policy selected. If you then have a sickness (critical condition) as defined in the policy you will be paid a lump sum. I would also suggest considering “Plus” polices while these are slightly more expensive they generally offer greater coverage as they cover lessor degrees of critical illnesses and the major ones found in the “Standard” policy equivalent. Please note all trauma insurance policies have a 90 day qualifying period. Another option for consideration is income protection which provides a monthly benefit of up to 75% of your income (as opposed to a lump sum) should you suffer from a sickness or accident and be off work for longer than the waiting period. Lastly as you are an Australian citizen currently living overseas, I would also recommend reading this article, if you would like further assistance please contact our office. 2. Quotation for $100,000 and $200,000. The best way for you to get a quote for the cover you are looking for is to complete the above online quote request form, this will allow us to prepare a detailed quote for you based on what you require. One of our specialist consultants will call you and discuss what options are available for you to consider. You also mention “fixed” life cover, do you mean you want the premiums fixed or the level of cover. Please confirm this when you talk to our team & they will prepare your detailed quotes for the scenarios you would like to consider. I am currently based out in Dubai, UAE. Need a life insurance of 1+million for myself 39 years and wife 33 years old, we are under 40 and will be residing here for some time. Non smoker and a very healthy life style. Hi Nathan, Thanks for making contact. We would require some more information to help you but we certainly can. We have some important information here for ‘Australian Expats Living Overseas’ which is worth reading in your situation. If you are able to make contact with our offices on +61 2 9929 7355 between 9am – 5.30pm (Sydney Time) we would just require initially some brief information at first to be able to help you and your wife. We specialize in these types of situations and we welcome the opportunity to assist you. I am a Malaysian but I have a business in Australia can I look at taking out Income Protection or Life Insurance? Thanks for contacting us Jayas and this is an interesting question. 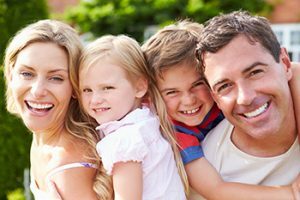 Firstly, you must remember that the Life Insurance Companies in Australia are generally looking at insuring Australian Citizens, Permanent Residents or people looking to permanently reside in Australia. For example they may consider a non-resident on the basis that they will be applying for residency within a certain time frame and therefore for the policy to be valid they must have applied for and received permanent residency by a certain date in the future otherwise a claim could be totally invalid or dismissed. This would be indicated on the Policy Schedule issued by the Life Insurer on a confirmed in-force policy. Under a Duty of Disclosure at application time the Insurer is going to ask questions regarding countries visited and frequency also. It is important to highlight that there are significant differences between Life Insurance and Income Protection. There will be significantly more stringent requirements with Income Protection asked by the Insurer due to the fact that a claim on Income Protection is more likely than Life Insurance. This page on our website regarding Australian Expats may or may not apply to you but may give you some more information. You are also welcome to contact us on +61 2 9929 7355 and one of our Life Insurance Specialists can obtain your details to check on your eligibility. I have been HIV positive for 3 years now, and I am on a very successful treatment. My Doctor has assured me that in today’s day and age people with HIV don’t die anymore and I will live a normal life span. So I am looking to start a family and wanting a death policy in case I was to die from an accident or a separate illness from HIV. Is it possible to get a policy and just exclude HIV from the policy, but be covered for everything else? -If your application was successful on a fully underwritten application – it would be full cover ie .. HIV related death / terminal illness would be covered. -Your policy may be granted on terms that the cover will cease in 10-15 years from policy commencement date for example. -The Insurer will want to know how the HIV was acquired and approximate date and current ART treatment. They will also request your CD4 Count & Viral Load. -Typically you would be looking at a loading on your premiums also. You are welcome to contact us on 1300 135 205 and one of our Life Insurance Specialists can undertake a pre-assessment with the Life Insurers to provide you with some available options. I am trying to get Life Insurance. Can you help? Thanks for contacting us John. We can certainly help you and your wife with those levels of cover. In house we compare up to 12 x Life Insurance Providers in the Advised Retail Market. You may also be interested in looking at our Quote Index which compares 32 different products across 3 x market segments and is very easy to use. This will give you an approximate of the cost of the cover for you and your wife. Please call us on 1300 135 205 and one of our Life Insurance Specialists can easily help you with your requirements and answer your questions. My father was born in 1943, 18th of December. Thanks for making contact Lisa. There are many factors that apply when providing a quote for Life Insurance such as your age, smoking status, current health issues (if any), pastimes and financial situation. Also there can be a difference if you choose to pay your premiums annually, monthly or from your Superannuation Fund. However, we would like to help you and we also compare up to 11 x Life Insurance Providers in the Australian Market so you are welcome to make contact with us on 1300 135 205 and one of our Life Insurance Specialists can assist you. Hi David and thanks for contacting us. We are the experts when it comes to setting up these Insurances within your SMSF. With the details you have provided there is a structure which I will outline below which may suit your needs in your situation for you and your wife. This generally is how the TPD is structured inside and outside of your SMSF. Firstly, the policies can be flexi-linked which allows you to take advantage of combined savings by having multiple policies. Therefore, you can look at having the entire TPD outside of your SMSF if you are looking at the ‘Own Occupation’ Cover or you could structure a split of ‘Any Occupation’ within the SMSF and the other component of ‘Own Occupation’ outside the SMSF. As you have indicated you would like the Trauma Cover outside as this cannot be held inside a SMSF and by also having Income Protection and Child Cover with the Flexi-Linking method you are maximising your potential savings on premiums. Keep in mind that with flexi-linking your TPD and Trauma to the Life Cover held within the SMSF, if you were to claim on either the TPD or the Trauma, this would cause the Life Insurance Sum Insured to decrease by the corresponding amount. You are most welcome to talk through your requirements with one of our Life Insurance Specialists on 1300 135 205 who can assist you with your structures and likewise we compare 11 x Life Insurers in the Australian Market so we can provide you the information that suits you based on either the most suitable features and benefits or the most competitive premiums. Hi, I am 50 years old – female 140 kg, can I get Life Insurance? Can you draw money out of your life insurance? Hi Gary and thank you for your question. The policy that I suspect you are referring to is known as a ‘Whole of Life’ policy. If your policy is as such it is likely possible that you could do a part withdrawal of funds up to the accumulated cash value of the policy. This can be tax free up to the amount of premiums you have currently paid to date. You could contact your Insurer and confirm the policy value with them. If appropriate you will also need to consider the implications of a part withdrawal in terms of your family situation and any potential payout on this policy in the future. I am about to retire. My retirement pension will provide generously for my spouse in the event of my death. However, if both my spouse and I die within the next 10 or so years, the pension will not have paid out its capital value and there is no provision for the residual capital value to pass to my 3 children. I wish to know whether it is possible to purchase insurance coverage so that in the specific event of both me and my spouse dying before, say, 2030 my children will receive a payout. After that time, insurance is not required as the capital value of the pension will have been realised and our estate will be able to provide bequests. I am a 57 year old male and a non-smoker. My spouse is a 56 year old female and a non-smoker. I stress my interest is in purchasing insurance coverage only in the event of both our deaths. The policy would not pay out if neither or only one of us died before 2030. If this type of insurance is possible, what premiums would be required to fund coverage of $500,000? I would like a quote for my husband. He is 58 and a smoker. I would like about 200,000 cover. Thank you. I have booked one of our specialists to call you first thing in the morning. There are a few other variables we need for the quote. However here is a quote for a 53 year old non-smoker based in NSW, for $350,000 life combined with Any Occupation Total and permanent disablement cover paid through your superfund (any super fund). $2,736 / year or $244.95 / month based on the above. Please note if you would like a detailed comparison quote based on your exact details please reach out to the team on 1300 135 205. We also have a Lowest Price Guarantee. I’m interested in life insurance cover. I understand it covers in the event of my death , but it says it also covers in the event of a terminal illness diagnosis. Which are these illnesses and how does it differ to TPD & Trauma? What are the differences in costs and why? Yes, having terminal illness covered in a life insurance policy is fairly standard these days. While the terms and conditions differ according to the relevant policy, generally policies will pay the life cover lump sum benefit in advance if you are diagnosed by two independent doctors who confirm that you will pass away in under 12 months. Therefore it would be very unlikely that you would survive past this point. This definition generally covers all medical conditions that give rise to the terminal illness, but here again you would need to check the relevant PDS. TPD and trauma cover are different in a sense as these provide a lump sum on the general proviso that you will survive. With TPD cover it pays a lump sum on you being made totally and permanently disabled whereas with trauma insurance it pays a lump sum on the diagnosis of a critical illness as defined in the policy. You can see a detailed comparison in our TPD vs Trauma Insurance guide. If you have any further questions please feel free to reach out to us on 1300135205. Hi I am an Australian Citizen but currently reside overseas can I still be covered under the policy? The policies we offer provide worldwide cover 24/7 cover, however in saying that they may restrict the policy if at the time of application you are planning on visiting or residing in a high risk country. If you have a current policy in place I am happy for one of the team to confirm if this is the case for your particular policy or if you are currently residing overseas and need cover please contact us. I have a life insurance policy with your company, however, I don’t have the policy details available. Can you help me as I need to change details? I did a quick search and it doesn’t look like you are a customer of ours, however, I might be mistaken. If you would be so kind as to call us on 1300 135 205 and provide us with your policy number or phone number, we can double check and make sure. I have AMP insurance cover which costs me roughly $2000 a year. I was informed recently that it is unlikely that it covers major illnesses like cancer. Is this true? Please be aware that there is a lot of misconception on what or will or will not be covered. To help you with your query we will need a bit more information. For example, what cover type do you have with AMP: Life cover, trauma insurance, TPD or income protection. Your cover type generally determines what is what is not covered. AMP Elevate Trauma Insurance, for example, pays out a lump sum amount if you suffer one of the serious illnesses or injuries as defined in their product disclosure statement (PDS). Life insurance from AMP, on the other hand, pays out a lump sum in the event of your death or diagnosis of a terminal illness, which a medical practitioner has certified will likely result in your death within 12 months. If you need some help navigating the ins and out of your insurance policy, please feel free to reach out by filling in the quote form above or calling us on 1300 135 205. I would like a quote on a level premium, for a one million dollars life insurance policy. Although you have not specified your age or the state you live in, the below shows the 5 cheapest level premium options for a $1 million life insurance policy, based on a 35-year-old, non-smoking, male living in NSW as of April 2018. • TAL Accelerated Protection with Health Sense: $76.11 per month. • Asteron Life Complete with Healthy Life Option: $80.49 per month. • AIA Priority Protection Vitality: $81.90 per month. • Zurich Wealth Protection: $82.05 per month. • ClearView Life Solutions: $84.95 per month. For a more detailed quote based on your personal requirements, kindly fill in the form above or give us a call on 1300 135 205. If I decide to cancel my cover can I get a proportion refunded to me? If you paid your premiums annually, you’ll usually get a pro-rata refund. For example, if you cancel your policy after 6 months, you’ll generally get 50% of your premiums paid back. However, if you pay premiums monthly and cancel your life insurance policy after the usual 30-day cooling off period, you will generally not receive a refund because term life insurance policies have no cash-value component. If you’re thinking of cancelling your policy because you want to switch to another insurer, please note that you would want to ensure the new policy is active before you cancel your existing policy. Hi. My wife applied for additional life cover through her super fund as we are building a new house and have an 8-year-old son. She only has the standard cover of around 150k. She applied for an additional 250K but was rejected because of her mental health history, which is successfully managed by her GP. I feel that her only way of getting additional death cover is to open a new super fund with the additional standard cover. Is this her only option? Hi Wayne. Thanks for reaching out. 1. Retail: Buying life insurance through a broker or comparison website, like Life Insurance Direct. 2. Direct: Purchasing death cover straight from the insurer. 3. Group: Life insurance through your superannuation or employer. Regrading life insurance being declined because of your wife’s metal health history, please know that each insurer has different underwriting guidelines. While one may decline or exclude cover, another might offer standard rates or request that she pay a higher premium. To find the right cover at the best price, it’s always wise to shop around and compare policies from a variety of insurance companies. Please fill in the quote form above and we’ll compare some of Australia’s leading life insurance companies to help your wife find what she’s looking for. If you prefer to talk with a specialist right away, kindly give us a call on 1300 135 205. What happens when you outlive your term life insurance? Do you get money back? I’ve been paying in for 30 years, it’s about to expire and I don’t intend to reinsure. Generally, term life insurance policies expire at age 99, depending on your policy type and insurer. Be sure to check your product disclosure statement (PDS) to confirm the expiry date. When your policy expires, you do not get money back as it has no cash-value component. If you have any questions or concerns please give us a call on 1300 135 205.